The main conflict in Crazy Rich Asians is Rachel’s summer vacation to Singapore and meeting her boyfriend of two years, Nick’s, family. What he failed to mention was that his family is one of the richest in Singapore, and not many relatives (if at all) approve of their relationship together… especially since it seems like Nick is getting serious! I loved the grandiose atmosphere that Kwan writes and the GLORIOUS good descriptions! The family elements were also super interesting to see, although I admit some of the descriptions of a certain brand or certain person’s connections got a bit tedious for me at times (this was throughout the series). The thing about Kwan’s writing is that he might gloss over certain important scenes or have it get told afterwards. That makes it so… it doesn’t really seem like there’s a climax? Or resolution? I never get those vibes while following the plot – it’s more like “this happens, and then this.” Which wasn’t too bad actually, making it an easy and quick read. Overall, this first book was full of heart, food, and family – three things you can never go wrong with! There are gold diggers and social climbers and rich heiresses galore. What other way to describe this trilogy than simply addictive? 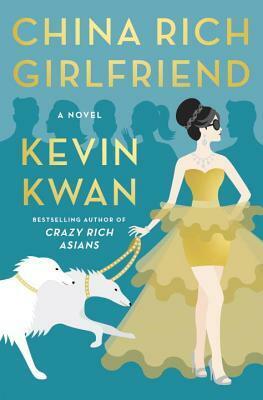 While Crazy Rich Asians follows the storyline of overseas rich Chinese families, China Rich Girlfriend goes to mainland China’s top richest families and readers get to see a bit of a comparison between these two. The dynamic between mainland Chinese and overseas Chinese is really an interesting one to see, and I think Kwan adds bits and pieces of this dynamic wonderfully throughout the story. What’s it like to think, my great-great-great-great-grandfather was from the mainland, but now we can’t go to it because we’re Singapore citizens now? Not to mention the tensions that arise because of Chinese history. This conclusion was SO HILARIOUS, especially since now you have a good idea of how each character and family member acts. Honestly, Kwan wrote them off with such vibrance and glamour, they practically jump off the pages. Especially that Eddie, lol. 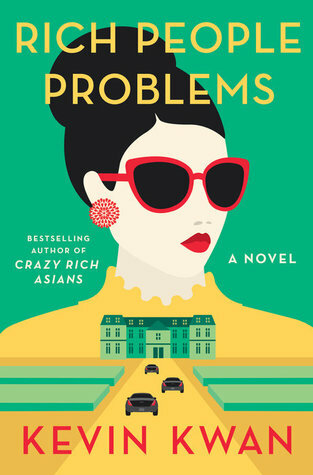 The main conflict of this book follows the inheritance of Grandma Suh Yi’s vast fortune, which includes the expensive property that she resides in. Everyone rushes in, wanting a piece of something from her, and a lot of plots start overlapping. While this is happening, Astrid is trying to find a balance between what to sacrifice for her happiness versus others’ happiness, and Kitty is still making weird rivalries between other rich people. It’s a weird dynamic, that. Throughout the series, there are also mentions of mental illness within several characters, and although I cannot say for the representation, I was surprised it was there. There are characters who exhibit bipolar disorder and depression, and I think Kwan did a good job in exploring and justifying those characters’ actions that don’t further stigmatize mental health. Kwan wrote an amazing conclusion that tied everything up beautifully, which matches the very happy-go-lucky voice that the series has been expressing. I really adored this series because it’s just so… extra. The characters for the most part are extra, the settings extremely extra, and the whole drama between people were extremely extra. And yet, I still enjoyed it! It’s a very flighty read, but also touches on important subjects like stigma on mental illness and certain cultural practices. I definitely recommend this to people looking for a light, chick-lit read to brighten their day. And finally, a hilarious quote that made me laugh aloud because THIS IS SO TRUE TOO. Literally the majority of my East, Southeast, and South Asian friends’ families don’t bother to remember celebrity names (or friend names!) correctly. I love it. 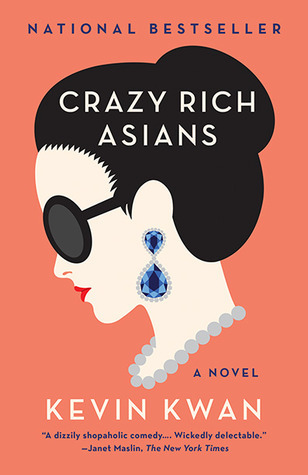 Crazy Rich Asians is quirky, although unrealistic. And yet beyond the opulent settings and facades of the world of the rich, it also delves into deeper Asian culture (the main that are mentioned being East, Southeast, and South) and the discourse behind it. Let’s finally see an East Asian romcom on screen in America! I for one will be celebrating the release of the movie in August. Will you? abuse, suicidal thoughts, depression, racism, use of the word G_psy. Gif sources: Crazy Rich Asians First Trailer, behind-the-scenes shots, and teaser stills! How did I not know this was based off a book? I’m so excited about the movie, I’ll have to make sure to get on to these as well! THE BOOKS ARE SOOO GOOD VICTORIA 😀 You won’t regret picking them up! Ohh this sounds like so much fun Aila! I have been wanting to read this for a while now because some of my friends recommended it to me but I didn’t realize how funny and culturally accurate this series would be. Will definitely read this as soon as I am done with my CR (and before the movie releases in my country). Hope you love both the movie and book Tanaz! Haha thank you so much Priyasha! I love love love the first book and about to start the second one! It’s just so extra and hilarious, but it also stresses the importance of family which closely reflect chinese family values. This series will always have a special place in my heart, and I’m super excited for the movie! YESSSS, I’m counting down the days for – hopefully – movie #2 for this trilogy! I purchased the first book because I can’t wait for the movie and it looks sooo good!!! I was nervous cause a lot of people said it was too rom-com-y, but like. I feel like it’ll be perfect for K-Drama fans like me who like the drama and craziness hahaha. Great review! Yesss Marie, I hope you love it! Great review, Aila! I haven’t read these books yet but i’m pretty excited for the movie. It looks very promising.